K&N unlocks the power with the new X-Stream Air Flow Top. Not only does the K&N X-Stream add filter area, it actually redirects airflow inside the filter to pull in more air through the side pleats for even greater performance efficiency. 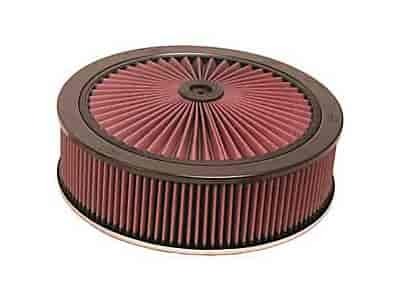 Cleanable and reusable, the X-Stream Air Flow filter delivers the best protection available for your engine, and comes in a wide range of sizes and colors. 66-3080 is rated 5.0 out of 5 by 1. Rated 5 out of 5 by 70nova from Air fliter Great air filter. Didn't effect my cars E.T. at all.